Chief marketing officers are becoming business leaders with operational expertise in order to gain the respect of their C-suite peers. Tomorrow’s CMOs will need to master analytics, technology, and innovation. Those are some of the key take-aways of Your CMO Is Changing, a presentation by Forrester Research Vice President and Principal Analyst Sheryl Pattek. She delivered her remarks October 28, 2014, at the Forrester Forum for eBusiness & Channel Strategy Professionals. The theme of the 2014 eBusiness Forum, attended by Fortune 1000 organizations, is “Map Your Path to Digital Mastery.” The purpose of the 2014 Forum is to help business leaders understand how to embrace digital as a way of doing business. Pattek helped eBusiness professionals in the audience understand how they need to change in order to prosper on their way to becoming CMOs. 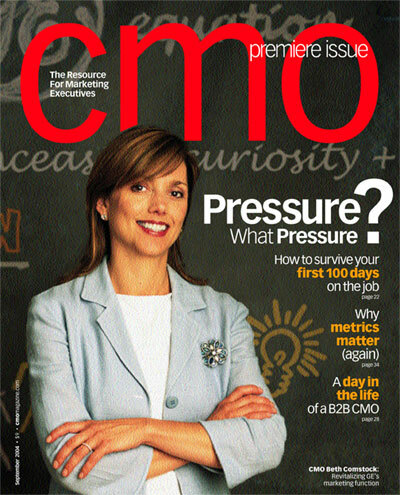 Pattek set the stage by outlining a familiar challenge facing CMOs today. They’re facing an exploding world of marketing channels and customers whose attention span is about 8 seconds — meaning CMOs have 8 seconds or less to engage potential customers before they turn their attention elsewhere. Just as the customer touch points have increased, so has the CMO’s remit: from branding and promotional efforts to a wide range of responsibilities such as eCommerce and customer loyalty. CMOs are responding to their expanding roles by taking control even as their worlds seem less controllable. They are doing so in a number of ways: linking marketing to business results, tackling broader organizational roles, building influence among the C-suite, and using technology and data to enhance customer engagement. “CMOs are meeting business metrics like increasing shareholder value and meeting revenue targets, not just building brand awareness,” she said. Tackling broader organizational roles is not only essential for CMO survival but also for CMOs to deepen their influence among their C-suite peers — a reason why CMOs are investing more time in the strategies that define the operations beyond marketing (59 percent of CMOS are growing their influence in general business strategy). Profit/loss management: the CMO of Wrigley manages a line operation (Latin America). “Getting general business experience is essential to growing,” she said. Mergers & Acquisitions: the CMO of Land O’Lakes is involved in driving strategy for M&A. Innovation: taking the business to the next level, which is the role of the CMOs at General Electric and Open Text. Have a customer orientation, not a brand orientation. Be a broad business leader. “Today’s eBusiness expert is well positioned to be tomorrow’s CMO,” she added. “eBusiness professionals possess the broad set of skills required.” Many eBusiness leaders are blazing the trail to be CMO, Sona Chawla, CMO of Walgreens (who is a retail digital pioneer) and Julie Bornstein, CMO of Sephora. “Sona Chawla and Julie Borstein are people who understand cross-channel marketing and have a keen insight into digital,” she said. Help the organization move beyond digital marketing to make all marketing digital. Bring a digital perspective to align consistent engagement across the entire buying journey. Leverage your technology know-how to build the marketing technology infrastructure. Use your customer insights to help CMOs understand what’s happening in your world and with customer behavior in general. eBusiness leaders who complement their know-how with confidence, a curiosity for new insights, a strong business orientation, and an ability to anticipate and react quickly to change just might be ready to become CMOs of the future. Are you? This entry was posted in Digital and tagged CMO, David Deal, Forrester Research, Sheryl Pattek, Superhype. Bookmark the permalink. 1 Response to The CMO Is Changing — Are You?